Project Access Nashville Specialty Care relies on the generous support of physicians who volunteer their time to treat the uninsured patients in our program. We are so grateful to them and their staffs for the excellent care they provide. In the past 10 years we have had over 1,300 physicians offer volunteer services during more than 28,000 patient encounters. The total value of donated care by physicians and hospitals since the inception of the program has exceeded $39 million. If you are a specialist interested in seeing patients through our program, please contact Rebecca Leslie, CEO at 615-712-6237 or at rleslie@nashvillemedicine.org. 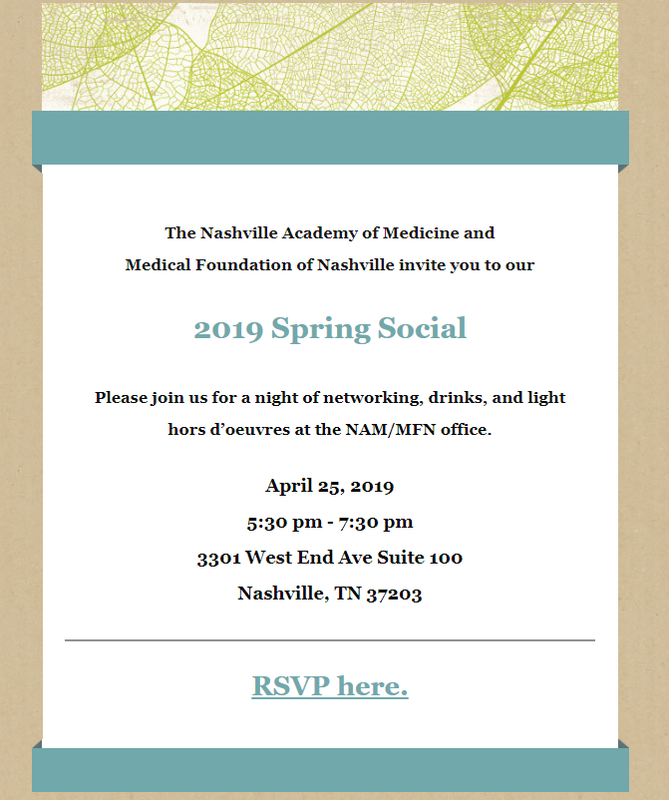 Click here to read a letter written by NAM board member and PANSC volunteer, Dr. Ralph Atkinson, about the importance and benefits of participating in Project Access Nashville Specialty Care.